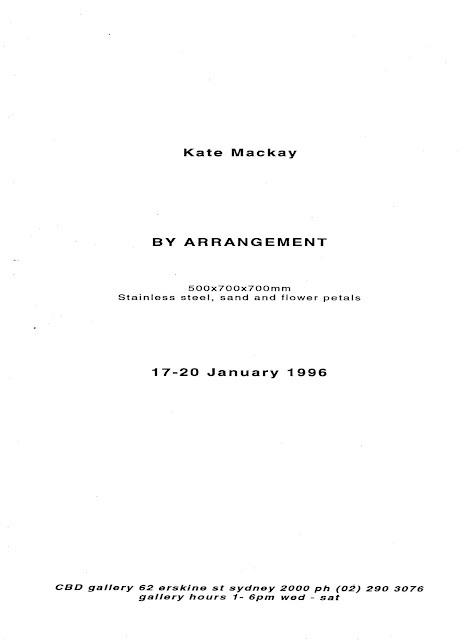 'By Arrangement' was my solo show at CBD for 1996. 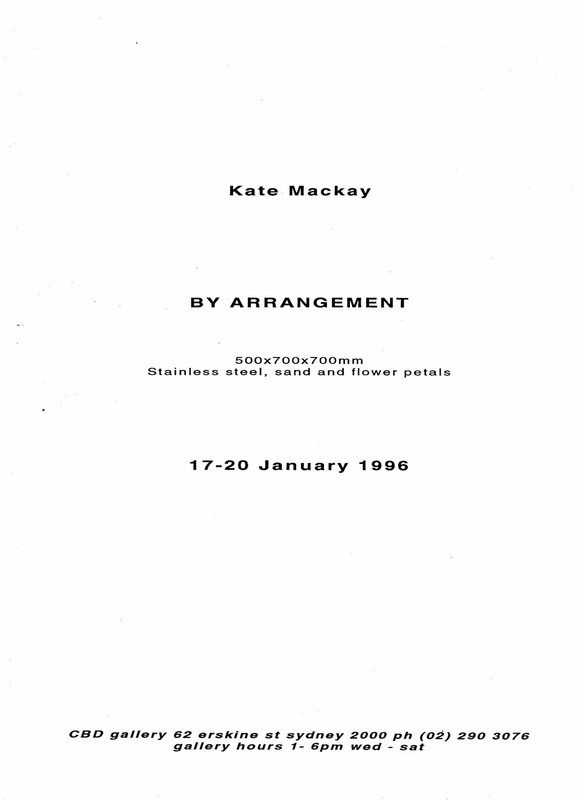 It was a sculptural piece consisting of arranged flower petals on a bed of sand. 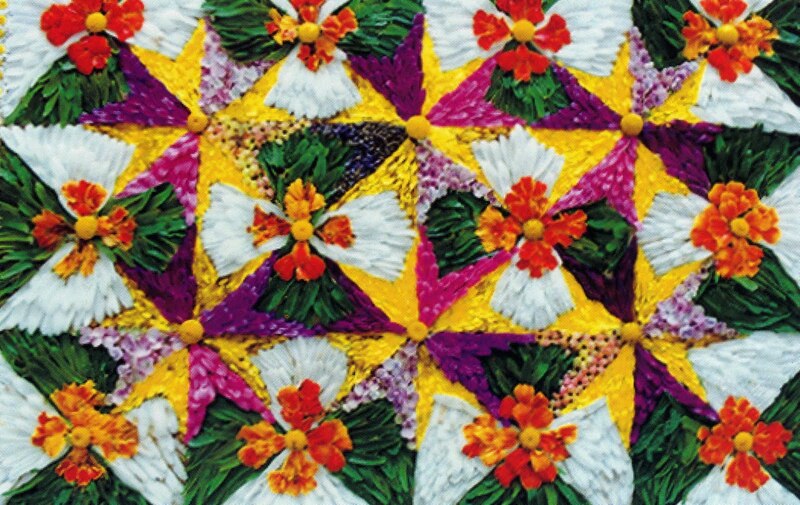 This is a very old-fashioned technique that used to happen at country shows - one of the exhibits alongside the vegetables, pickles and decorated cakes - flowers, petals and leaves were arranged in patterns onto a tray of damp sand.